The weather here in the UK has finally turned cold and there's nothing like a hot howl of soup to warm up a grim, cold and rainy day. We've been having a small bowl of soup before dinner in the evenings which helps us get an extra portion of vegetables and also helps to temper our hunger as cold weather always seems to make us more hungry. I love my slow cooker, it makes life so much easier - especially with a very young baby and three other children to look after. Being able to load ingredients in and letting the slow cooker magically turn them into a delicious meal is a very welcome shortcut at the moment. Peel and thinly slice your onions then add to the slow cooker with the butter and sugar. Cook on low for 5 hours. Add the garlic, flour and a little salt and pepper then mix well. Pour in the stock and cook for another 4 hours. Serve in bowls topped with cheese rolls or melted cheese on thick toast. This blogging challenge created by Helen and I encourages us all to add an extra portion of vegetables to meals. Adding extra vegetables means that you get all the extra vitamins and nutrients from your veggies and it also fills you up so you eat less of the bad stuff. You could win a box of Extra Veg from Wholegood! 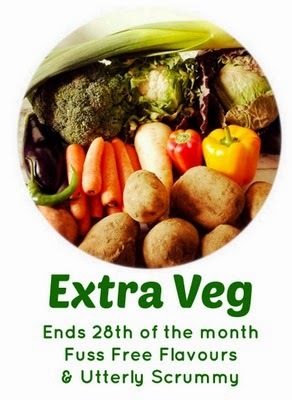 Wholegood, an organic fruit and vegetable supplier in London, have offered the prize of one Uber Veg box for a randomly selected #ExtraVeg entry each month which will be selected via random.org. Wholegood vegetable boxes can only be delivered to mainland UK addresses. Contents of the veg box will change depending on season and availability. Tell me about your ideas for extra veg on the linky below! Oooh what a super sounding soup! I love onions, a lot, and I'm very surprised I've never made an onion soup before! I've never attempted onion soup before but you make it sound so easy with the slow cooker! This looks absolutely lovely, I've made caramelised onions in the slow cooker before but don't think I've ever gone one step further to make French onion soup! My son would love this soup - he nagged me ages ago to make it but I made a different type of onion soup for him. Must bookmark this! I've just brought a slow cooker back from my parents and this looks like it will be the first recipe I try in it! 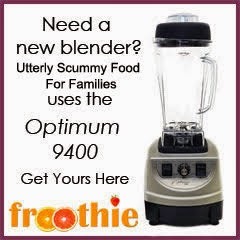 mmm souper delicious! sorry for terrible pun, but I also love my slow cooker and I love soup. Delish! I am totally addicted to soups at the mo too, and you're right, it's such a great way to bump up the veg portions. I must use my slow cooker to make soup too. This sounds amazing! Hi Michelle.Thanks for linking up to Slow Cooker Sunday.Soups are my daily lunch time meal at the moment.